Our group this month is lead by Nikkea Sharee! We learned “black out poetry art.” Nikkea explained it is the process in which you use a torn out book page (or a printed out page as we did on 11×17 paper) and read over the words on the page, seeking to either create a poem, haiku or statement from the text on the page. 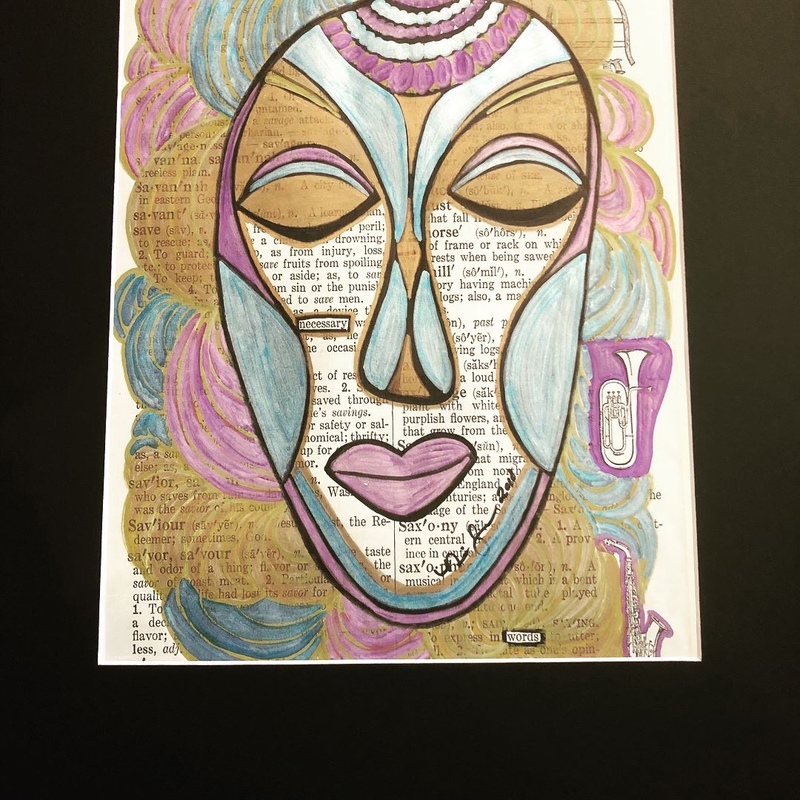 Once you have chosen the words and encircled them with black marker, you then begin blacking out all other words by marker, paint, or whatever medium creating a beautiful recycled book page into a work of art. Photos taken by Nikkea and granddaughter Natalie who also participated.